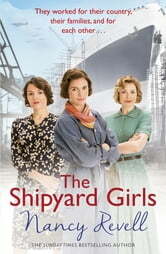 THE FIRST SHIPYARD GIRLS NOVEL FROM SUNDAY TIMES BESTSELLING AUTHOR, NANCY REVELL. Sunderland, 1940, and the women go to the shipyards to do their bit for the war effort. Polly never dreamed she would be able to work in the shipyards like the men in her family but times are tough and her new job ends up giving her more than she ever expected when she meets enigmatic dock diver Tommy Watts. During the day, head welder Rosie teaches her fledgling flock of trainees their new trade, but at night she hides a secret life. And mother hen Gloria signs up to escape her brutal husband, but finds she cannot run from her problems. 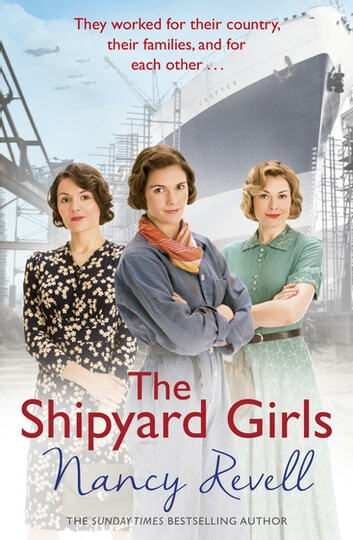 The Shipyard Girls start off as strangers - but end up forging an unbreakable bond of friendship in the most difficult times. What a wonderful tribute to such a hardy and patriotic group of women. Of course we all know about the American 'Rosie the Riveter' but obviously the British war effort started much earlier. These characters reflect many wartime experiences and it is only right, as WWI and WWII commemorations are taking place that this small group of civilian workers are remembered for their war work. The only down side was that the preview of the next book in the series came before the text of this one so you were already aware of some devastating circumstances still to come before you got to know and like this group of women. It's a great book. Well written It's the 1st in the series. So good I could not put it down. Can't wait to read the rest.